Product prices and availability are accurate as of 2019-04-13 20:03:55 UTC and are subject to change. Any price and availability information displayed on http://www.amazon.co.uk/ at the time of purchase will apply to the purchase of this product. Brand new blend specially formulated to attract Robins and Songbirds into your garden. 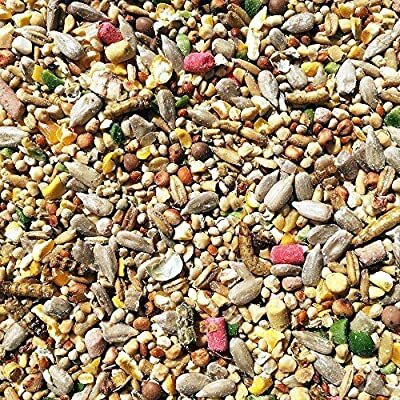 This premium bird seed blend is a tasty blend of ingredients that are high in key nutrients and oil and features some of the songbirds favourites - suet, mealworms and of course, sunflower hearts. The high energy content of this seed is great for breeding time in the Spring but is also perfect for feeding in the colder months too to ensure birds are kept fit, strong and healthy during cold winters. 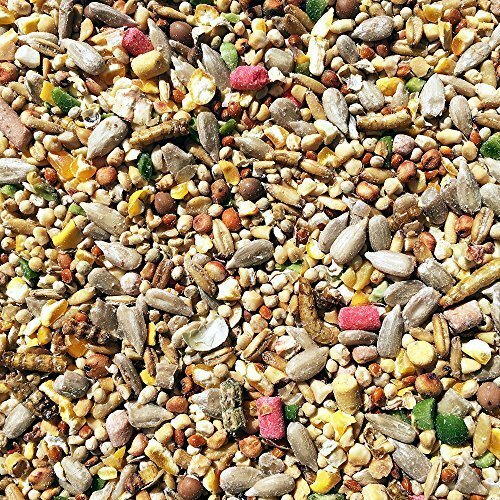 Whilst this mix is favoured by Robins and other songbirds, most other birds will take the mix too meaning it can be fed as an all-round rich mix for feeders, ground feeding or for feeding from a bird table. Ingredients: Sunflower Hearts, Naked Oats, Pinhead Oatmeal, Kibbled Maize, Millets, Dari, Kibbled Peas, Tares, Suet Pellets, Mealworms, Kibbled Peanuts and Aniseed all blended with Soya Oil.